I love eggs. It doesn’t matter how you cook them. I love them poached, fried, hard boiled, soft boiled, scrambled, pickled…OK, I don’t love them pickled. But you get the idea. I think eggs are a food group. I think my love for eggs is what fuels my backyard chicken coop fantasy. In more rural places, and even in more hip urban places like Vancouver, chickens are permitted to live in residential areas. In my suburb here in Southern Ontario, however, such radical urban farming behaviour is frowned upon. And one run-in with the bylaw officer was enough for one summer. So I am forced to buy my eggs and entertain fantasties of one day farming my own. I am not a sophitocated grocery shopper. I don’t go to Whole Foods or some other high-end store where the price includes the artistry of pyramid-stacked zucchini. I don’t walk down main street, stopping in to see the butcher, the baker and the candlestick maker. I just go to the nearest No-Frills (the name says it all, doesn’t it?) and find the eggs at the back, next to the milk. 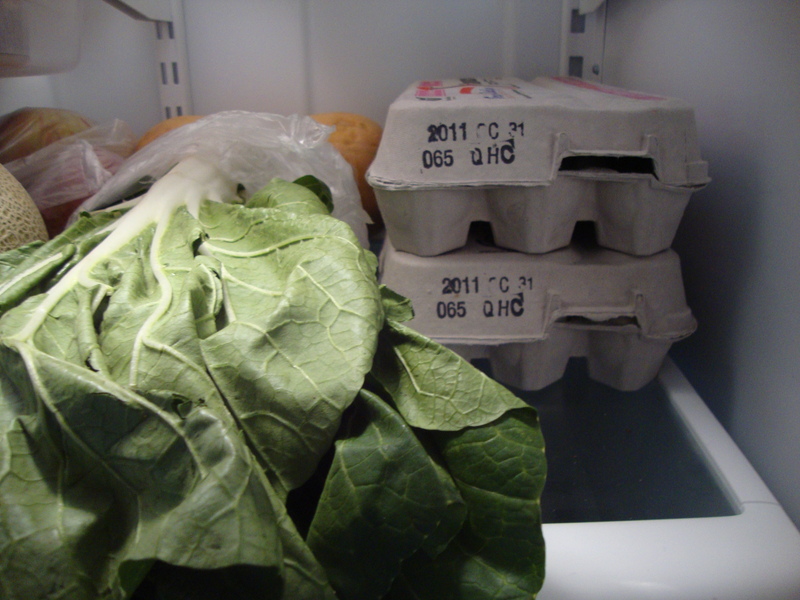 Even though I am a no-frills kind of shopper, I read labels and buy local wherever possible. As one farmer I know says, it is good to know who grows your food. 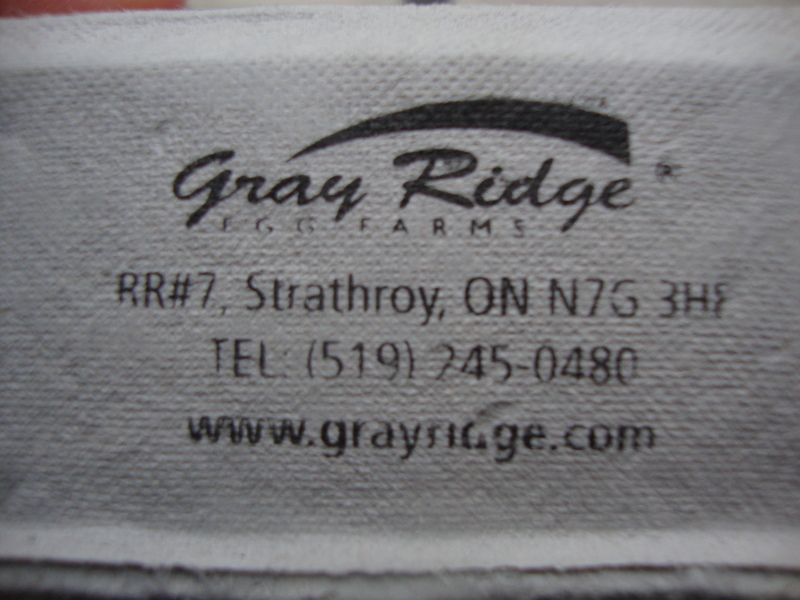 Yesterday, on my habitual Monday shopping trip, the label on the egg carton gave me pause: Gray Ridge Farms, Strathroy, Ontario. I used to live in Strathroy, and I know exactly where that is! 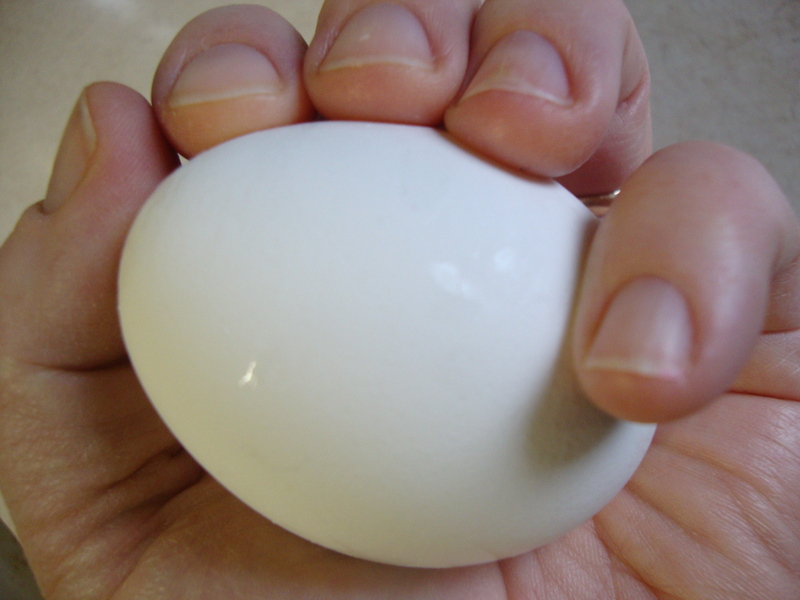 I felt closer to my eggs already. Then my mind drifted back to the CNE. My husband and I went to the Canadian National Exhibition, although just for an evening (since there was cheap admission after 5pm) and sans children (since they make everything cost alot more, especially when a midway and cotton candy are involved). We wandered around, ate a bunch of deep fried foods, and met a couple of chicken farmers. Yes, as a part of the agricultural exhibit, the Egg Farmers of Ontario had a display complete with real, live egg farmers. We met a lovely couple who farm near Ilderton, and who were pleased that we even knew where Ilderton was (barely up the street from Strathroy). Although I don’t think they ever told us their names, we stood and talked for a long time. We talked about chickens, gardening, politics and how much work it actually is to be an egg farmer. It was my favourite part of the CNE. Still, I love the thought of connecting with the people who helped make my meals possible. Sometimes that is easy, because I grew it myself. Sometimes it is simple because I can visit the local farmer’s market. Most of the time, however, it is pretty challenging. Food growers get lost behind plastic packaging or underneath signs that say, “On Sale for $1.99/kg”. I suppose I will never know the farmer who grew my bananas or grapefruit (but what a great idea for a field trip in January). I will probably never meet the wheat farmer who is behind the loaves of bread I just bought. So I will have to be content to recognize the names on packages and be on the lookout for farmers. Even at the CNE. This entry was posted in Uncategorized and tagged food, neighbourhood, Strathroy. Bookmark the permalink.